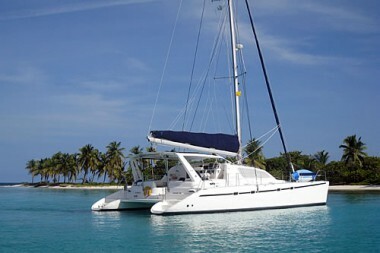 Length Overall : 46' 10"
This ultimate cruising catamaran was built by Robertson & Caine of Cape Town, South Africa. 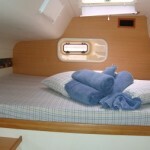 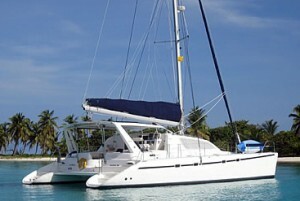 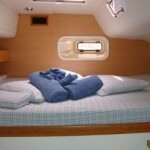 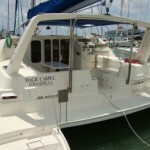 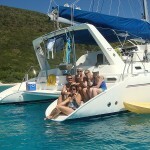 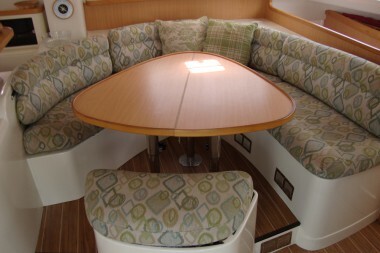 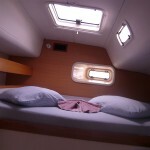 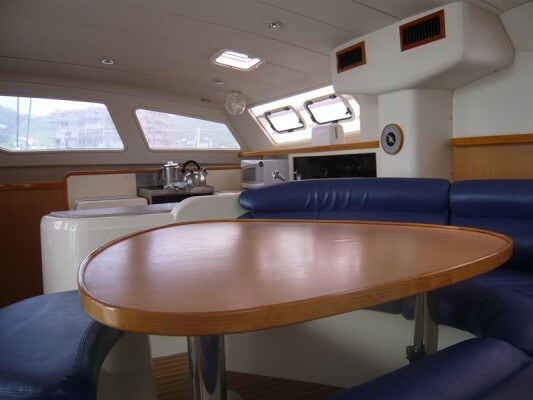 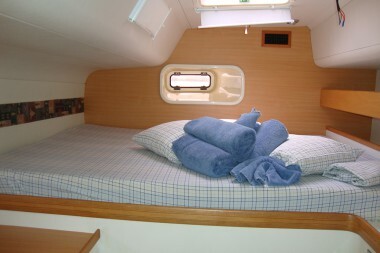 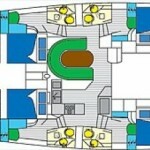 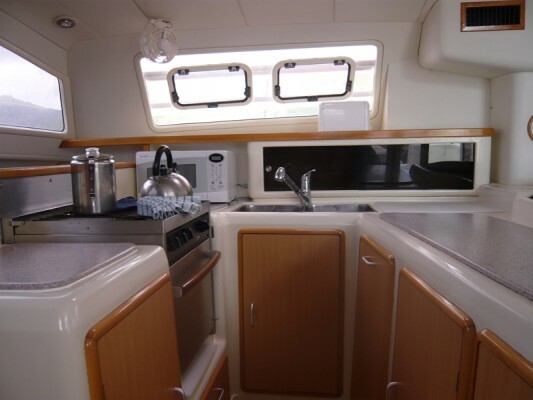 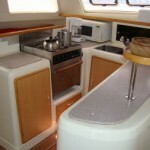 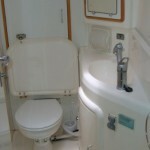 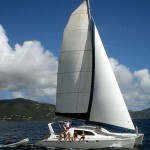 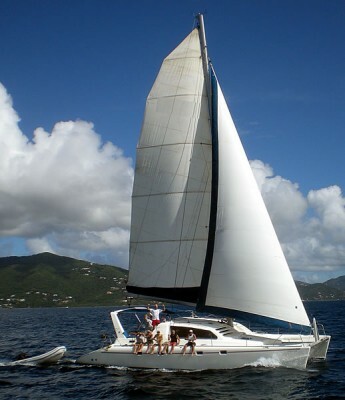 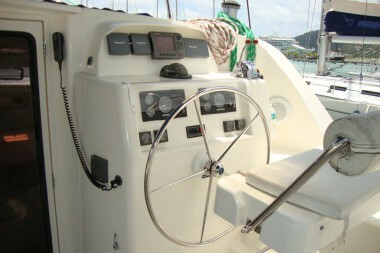 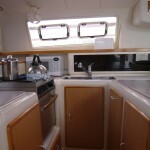 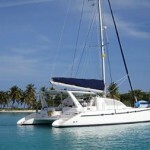 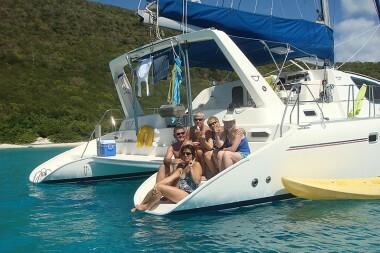 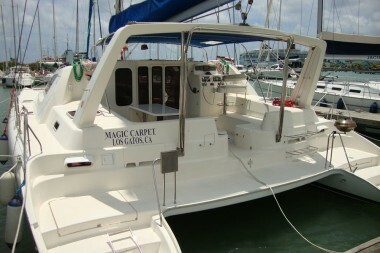 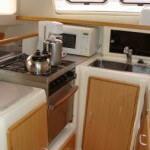 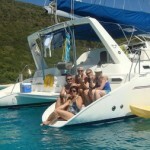 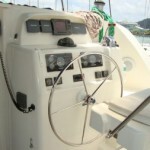 She sails like a dream and accommodates 8 adults (4 couples) in complete luxury. 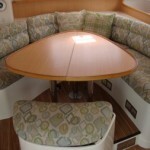 2 additional people may be accommodated with the salon table converting into a double bed. 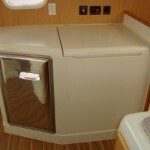 The U-shaped galley is well-designed with ample space in the refrigerator & freezer. 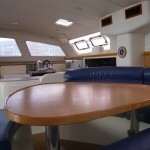 The large saloon and cockpit tables make dining aboard a pleasure. 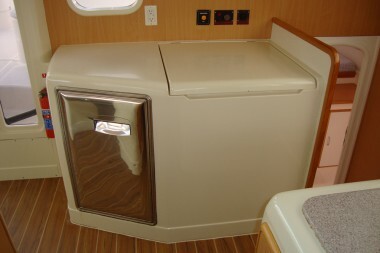 The generator and air-conditioning will keep you comfortable in any weather. 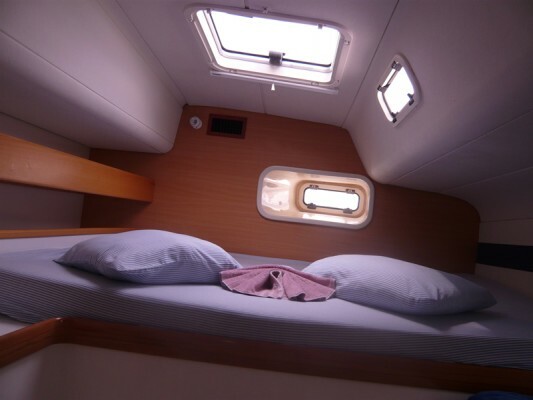 The guest cabins feature queen size beds, ample storage, fans and reading lights. 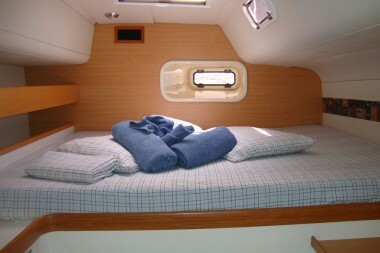 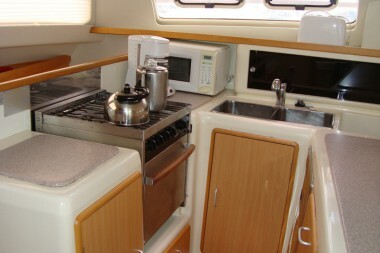 A large hatch over the bed and opening port provides excellent ventilation. 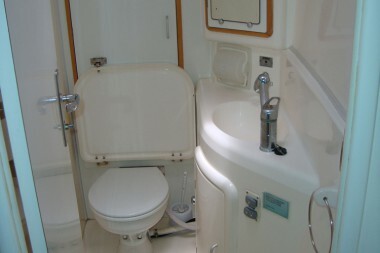 Each guest cabin has its own head & shower. 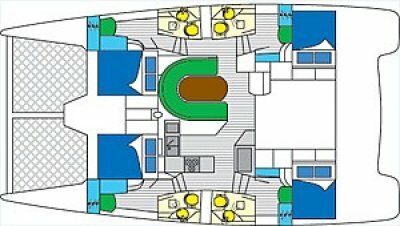 The spacious cockpit accommodates ten with ease. 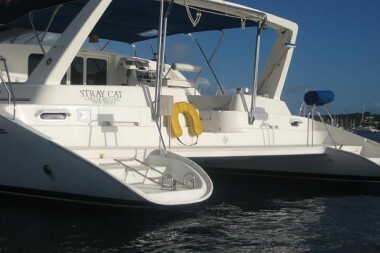 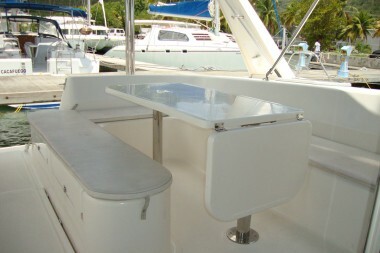 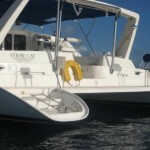 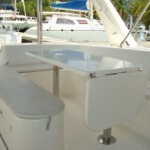 A large aft transom with center walk-through provides easy access to the water for swimming, snorkeling & diving. 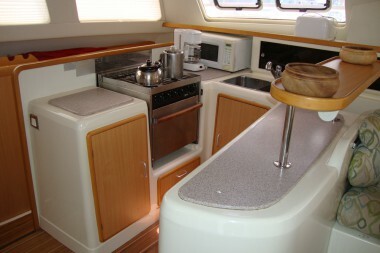 A built-in dive rack holds 4 tanks. 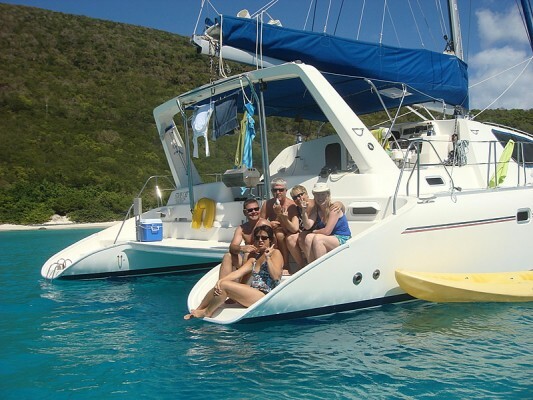 Enjoy the fabulous scenery from the spacious trampolines or relax with an evening cocktail under the stars.